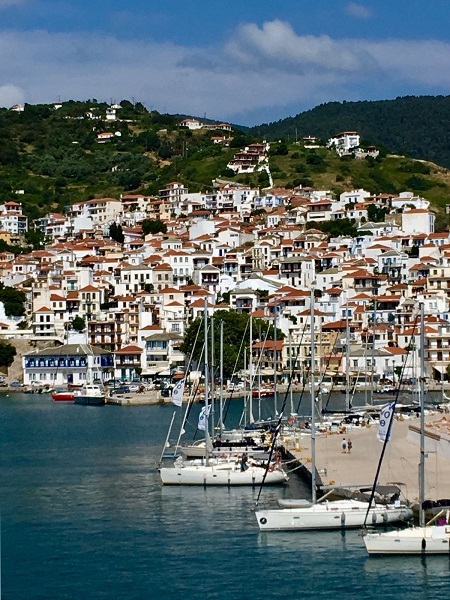 Sam O’Connor, Assistant Manager of our travel agents in Lymington, took a trip to Greece’s Northern Sporades Islands. 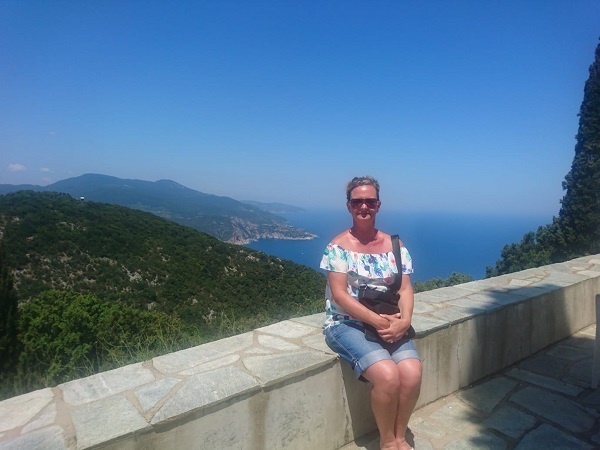 She tells us about some great hotel options on Skiathos, Skopelos and Alonissos and also gives plenty of reasons to visit this part of the world. We arrived at the airport and were treated to our own private lounge with breakfast and champagne near the Number One lounge at Gatwick. We flew with Enter Air and had extra leg room seats which were very spacious. They served snacks and drinks which were payable in Euros and all the staff were very attentive. Konstantina Apartments in the old town of Alonissos was a small property with nice pastel furnishings. Ninas Studios in the new town was very nicely decorated and modern. There was a nice kitchenette and balcony with lovely views of the harbour and town. Sunvil contract four rooms at the Hotel Liadromia in the new town and they have all been decorated to a modern standard. There is a breakfast room and small bar on the top floor with lovely views of the bay. Limani Cottage is in Steni Vala (means narrow bay). It’s a two-bedroom property based on a traditional fisherman's cottage complete with full kitchen, Wi-Fi, air conditioning and nice views. 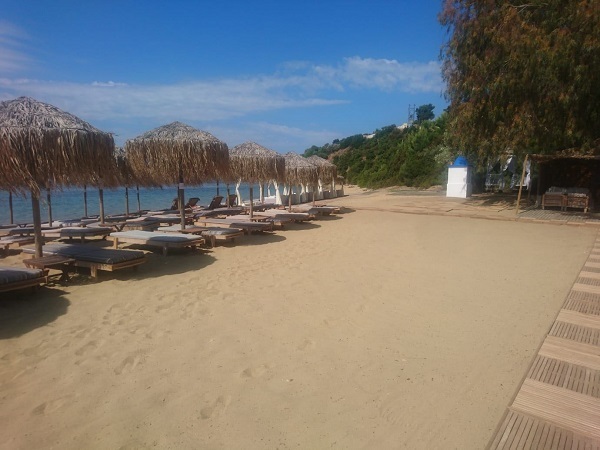 There is no pool but it is right on the beach and only a short walk from about six tavernas. Gylfa Beach Anemos studios is light and bright. Petra Cottage is more traditional and Ilyios has had a modern makeover. Villa Paparouna sleeps eight and has had another pool added with a pool room that offers beautiful views down the mountainside. Villa Manolia has a lovely pool and terrace with a shaded area for eating al fresco. Yalis Hotel in Votsi is built on a small cliff directly above the sea with spacious rooms and wonderful views. The hotel has twenty rooms and suites and the ones on the higher levels were really nice and light. Alkistis Apartments were a couple of kilometres out of Skopelos Town and they had a large pool and swim up bar. These are set in beautiful gardens and countryside and I would highly recommend them. They offer an hourly transfer service to the main town. We did a boat trip from Alonissos to other islands and visited a famous monastery. We saw dolphins and many different species of seabirds as we hugged the coastline of the island. 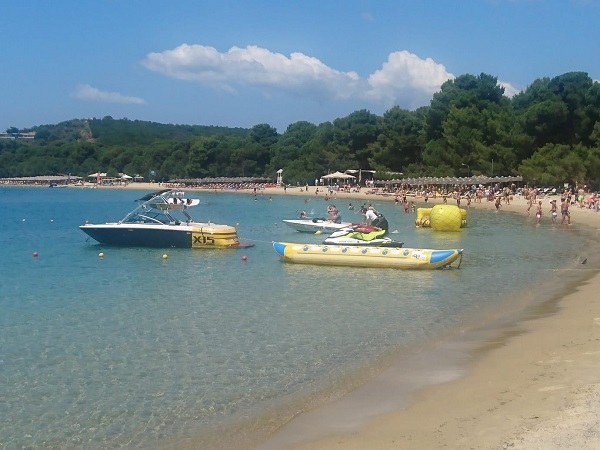 On Skiathos, we did an island tour to visit the famous beach at Koukannaries which was very busy. We also visited the Panagia Kounistria Monastery which was renovated in 1726. On Skopelos, we visited the church which was used during filming for Mamma Mia the movie. There are more than 200 steps up to the church, so this isn’t suitable for anyone with mobility issues. We also visited a model boat museum in the town and a local pottery shop to watch the pots being made. The boat trip from Alonissos was the best part of the trip as we got to see the surrounding islands and wildlife. We stayed for a few hours at the Alkistis Apartments to use their pool and bar. This is in a really quiet area so it was very relaxing. Some of the views we enjoyed whilst up high in the mountains visiting the monasteries were amazing and there are great trails for people who like hiking. If you would like to experience the more traditional side of Greece, these islands would be perfect. Anyone who is not fit and mobile may have some issues as the resorts are very hilly and some of the streets are on slopes, making them difficult to walk on. I would highly recommend travelling with Sunvil as everything ran smoothly and their representatives have great knowledge of the islands. If you would like to plan your own family holiday to Greece, we can help you find your perfect hotel. Call us today or drop by our travel agents in East Anglia or on the south coast.